A10 Boiler Spares is a specialist supplier of domestic boilers, with a range from top manufacturers to suit all requirements and budgets. 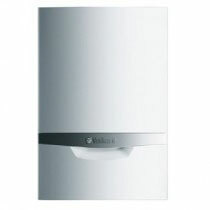 Those using gas boilers can chose between a heat only, system or combi boiler, from big names like Ideal Boilers, Worcester Bosch, Glow Worm, Vaillant, Baxi, and many more. There’s also a large financial benefit, as replacing an old gas boiler with an A-rated high-efficiency condensing boiler and improving heating controls could save as much as £310 a year (Energy Saving Trust).